Bright and strong bottle green and turquoise green show all of the time, never leaving the face of the opal. 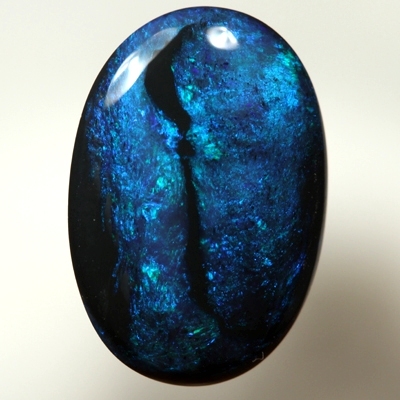 A central river of black opal flows between the gem colours. Great in all lights.